Hello everyone and a very special welcome to all my new followers, I have been getting lots of notifications recently about people now following me and am very honoured, hope you enjoy all the future posts. I have just got back from a brilliant trip to Florence and am sorting out my many pictures of medieval art and churches for a mega post. 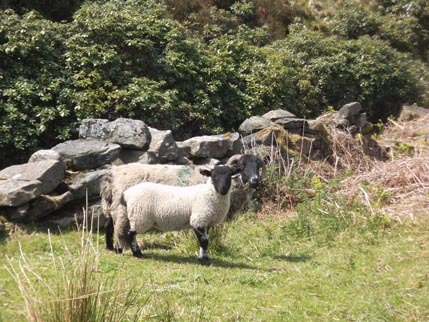 I have had a lovely day today so I thought that I would share some of it with you – when I first moved here I promise to post pictures of my lovely surroundings in all seasons so here we have the early summer collection. 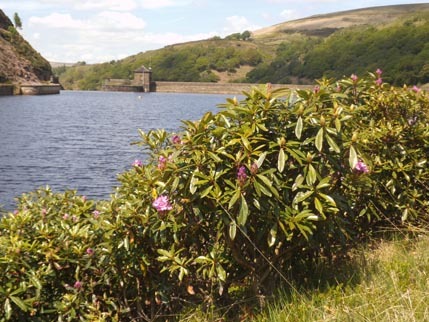 I love walking round here and particularly the walks up the valley with the reservoirs but the scenery has just got better as the rhododendrons are now in bloom! 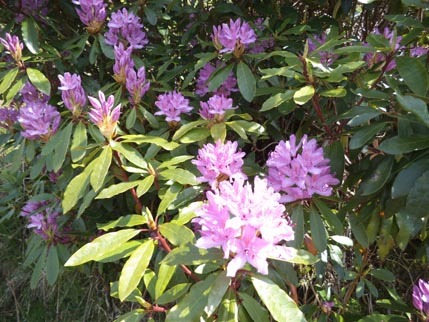 I love rhododendrons and they have only just started to come out so the walks will be even better for the next couple of months! 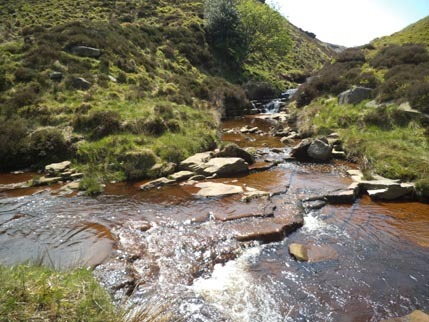 I am so lucky – all this is just about half an hour walk from my house! 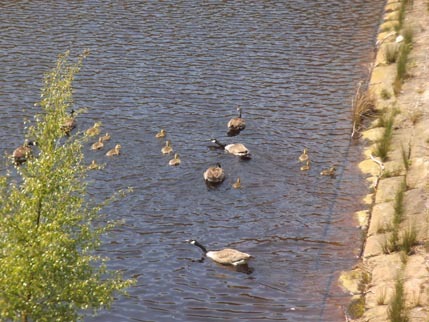 And there were baby geese on the reservoir today, have not seen them before. 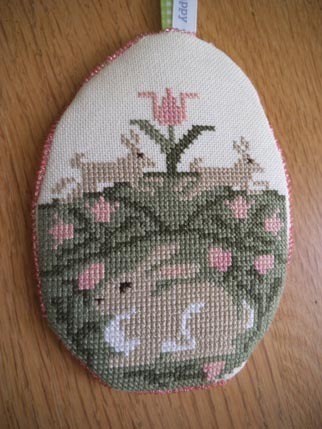 Got back from holiday to find this very lovely Spring Exchange piece from Stephanie at Blue Star Stitcher, my latest partner in the Seasonal Exchange blog. This is a Prairie Schooler piece in an egg-shaped finish with really lovely beading. 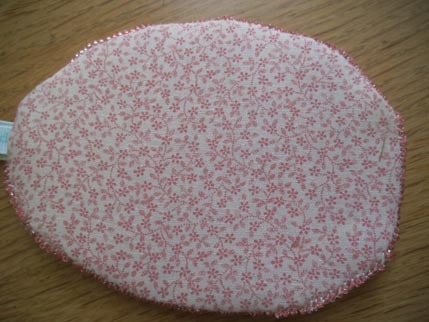 The backing fabric is really pretty as well. Thanks Stephanie it goes really well in my kitchen where I am currently displaying all my Spring exchange ornies. Will be back soon with the Florence pics.